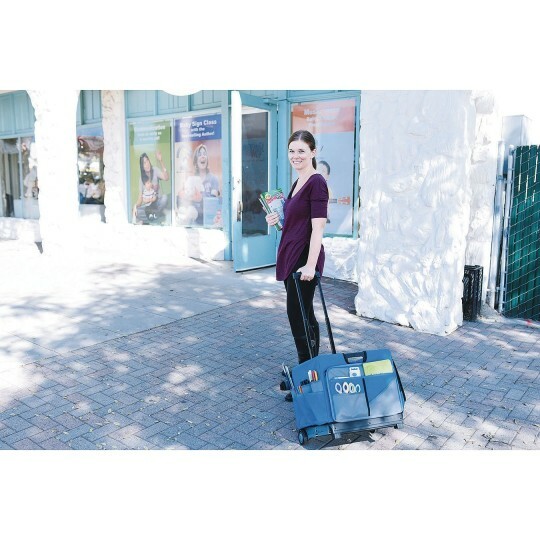 Carries supplies, files, equipment, and more. grips for easy moving and lifting. Double rails lock the sides securely in place. 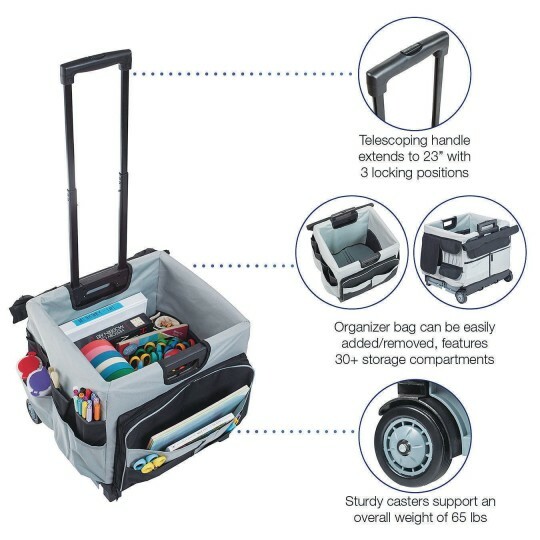 The saddlebag-style canvas cover features over 30 different storage compartments, and can be easily added to or removed from the cart. 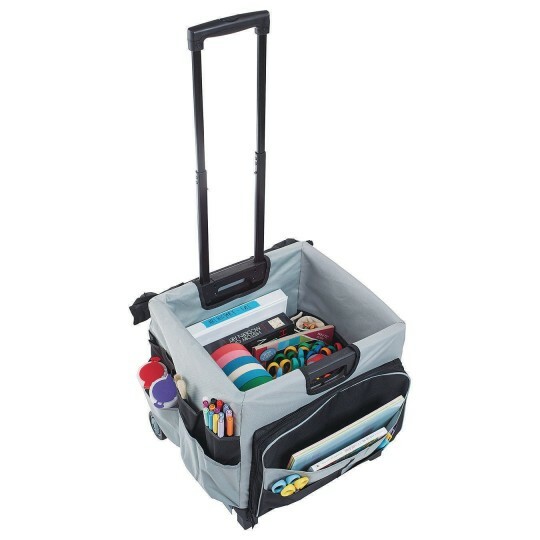 Pockets have zippers or hook and loop closures for securing supplies and files during travel. 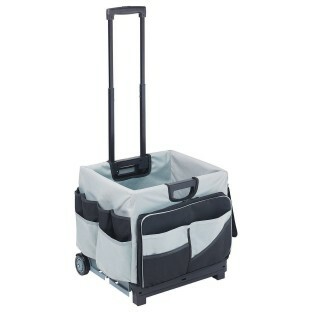 Cart folds flat to 3” for easy storage when not in use. Telescoping handle extends up to 23” from the cart and locks in three positions for easy mobility on rubber wheels. 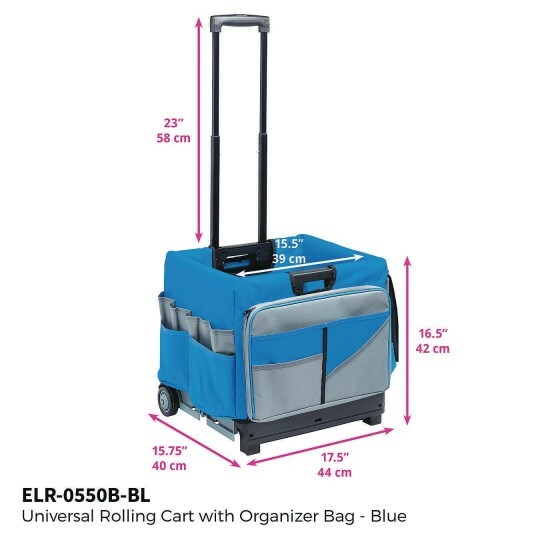 Cart capacity is 65 lbs. 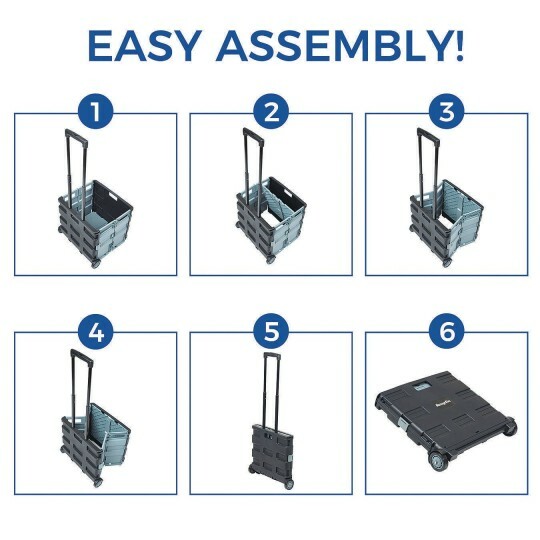 Cart assembled dimensions are 17” x 15-1/4” x 16”.